This striking Kiddush cup will enhance your Kiddush ceremony and Shabbat table. 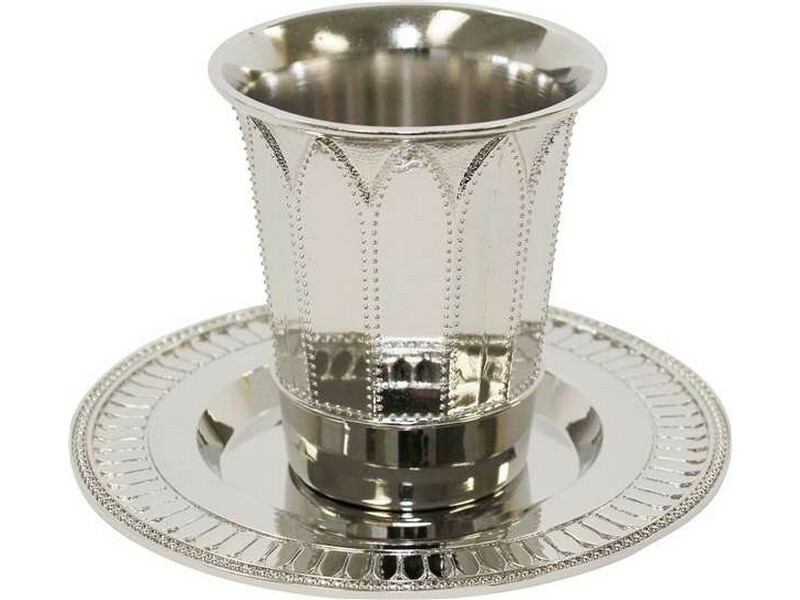 Nickel plated with a slightly curved rim, it has pointed arches encircling the cup, giving the Kiddush cup a neat, contemporary look. Cup comes complete with a coordinating round saucer. This kiddush cup and plate will surely enhance your Kiddush ceremony.